Those who started worrying that I would keep walking the savoury road for too long, here you go with a new lovely sweet recipe. 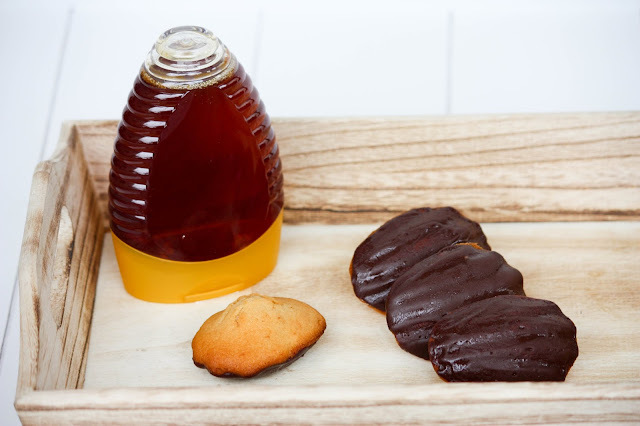 This time, changing the usual vanilla madeleine into a honey madeleine with chocolate coating. The idea came yesterday night when I was walking in town and came across the tiny little madeleine shop of Lea Linster. Some of my compatriots might be shocked hearing that I never ever tried the original Lea Linster Madeleine. They're said the best in the country. I should go and find out. My friend Anne, who also prepared the Homemade Eclairs with me once succeeded in preparing them, and they were delicious. Melt the butter in a saucepan in order to get a more intense flavor. 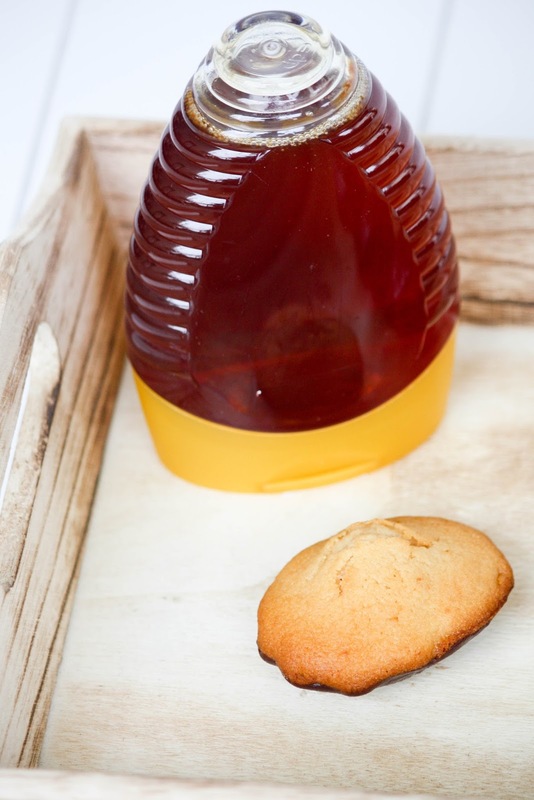 In a large bowl whisk together the honey and the eggs, then add the milk. In a much smaller bowl mix the flour and the baking powder then add the dry mix to the liquid one. Now add stepwise the liquid butter until you get a foamy mixture. Preparing your madeleines you have two choices. 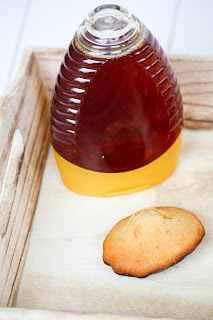 Either you keep the batter one night in the fridge, or if you're impatient like me, immediately pour the dough into the little madeleines' molds. I tried the two versions and I must admit that I don't really taste the difference. Maybe the latter version is a little less compact. In any case preheat the oven to 200°. 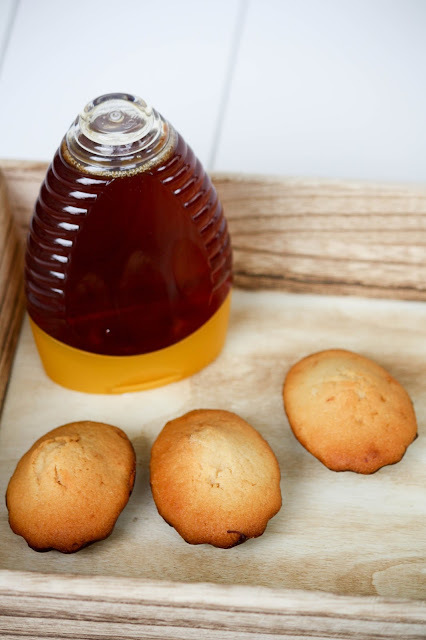 Bake the madeleines for 5 minutes than switch the oven to 180° and bake for another 5-7 minutes. Get the madeleines out of the oven and place them on a cooling tray. 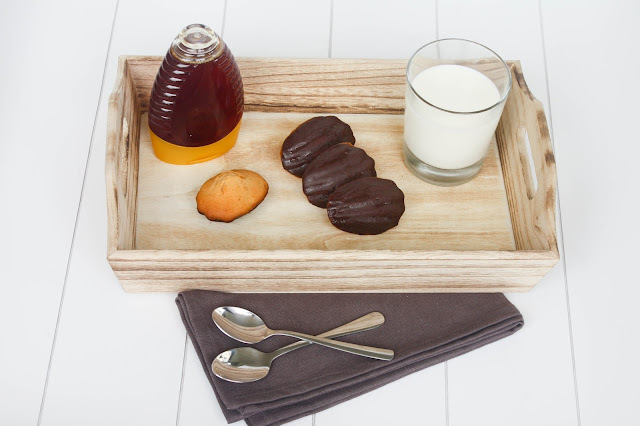 While the madeleines are cooling down, prepare the chocolate coating. Melt the chocolate bain-marie style and coat the little madeleines afterwards. This is a much trickier duty. Be careful that your madeleines don't fall into your bowl full of melted chocolate. 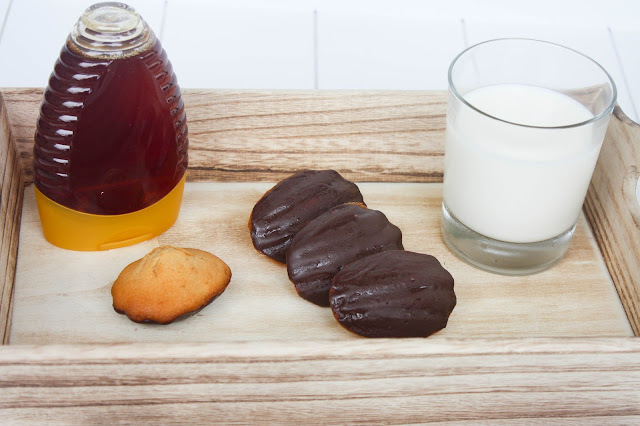 Quickly dip the madeleine into the chocolate. Then with a knife spread the chocolate regularly over the bottom. Let the chocolate coat dry for one or two hours in a cold room before serving. Thanks for you message!! Wow let me know how they were. I don't use maple syrio that often, but it's definitely worth a try!